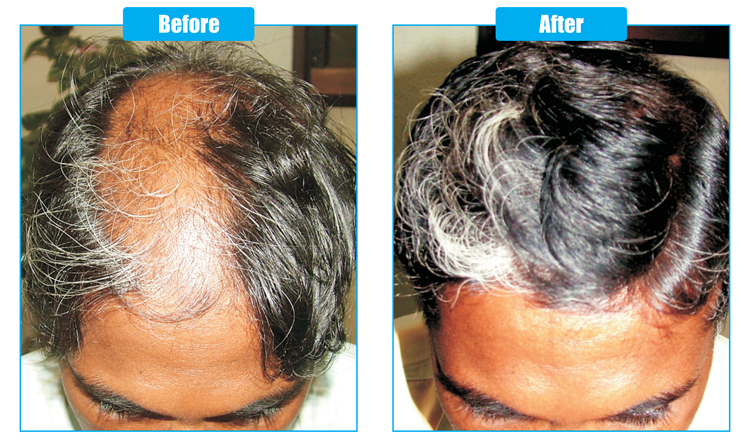 This case study is presented here from the successful case on Alopecia Areata treated at AKP Homoeopathic Clinical Research Centre. Dr. Manju has compiled this case. A male aged 46 years had loss of hair since one and half years. Initially hair loss started as coin sized patches and matted together to form large area of patchy hair loss. No History of dandruff or itching. When the patient consulted, he presented like male pattern baldness. He had recurrent cold with hoarseness of voice additionally. He gave the dyspeptic symptoms like burning in the upper part of the abdomen> cold drinks. His complaints started after an attack of jaundice with prolonged loose stools. Initially he had allopathic treatment, received steroid injections locally, and then underwent siddha treatment. He opted homoeopathic treatment, when the treatment measures resulted recurrence.